The AcuraLink app lets you connect to your latest Acura model from almost anywhere at the touch of a button from smartphone, tablet, or computer. You’ll enjoy several cloud-based services when you’re on the go. Send Destination: Sitting in Oak Park and know where you want to go in Riverside? Send destination and directions to your vehicle. FInd My Car: Trouble locating your MDX in a crowded Chicago parking lot? Use the intuitive AcuraLink app to find it. Remote Lock & Unlock: Think you forgot to lock up? Need to let someone in from afar? Not a problem with AcuraLink. AcuraLink Real-Time Traffic: Receive up-to-date traffic information straight to your navigation system, so you won’t experience unexpected traffic in Riverside again. Personal Concierge: They’ll help you make hotel or restaurant reservations, or even get a flight for you. Automatic Collision Notification: In the event of a crash, a live agent will reach out to you. Emergency Call: Trained agents will provide priority attention and send emergency services your way. Stolen Vehicle Indicator: If your vehicle is stolen, AcuraLink helps local authorities locate it. Owner’s Guides: Receive digital versions of all your vital documents, including owner’s manuals and guides, right on your AcuraLink app. Recall: In the unlikely event of a recall, you’ll receive a notification right away to ensure peace of mind. Schedule Service: Keeping to recommended service schedules is important – AcuraLink makes it easy to arrange each one and keep your vehicle in prime condition. Roadside Assistance: Need fuel delivered, a tire changed, a jump start, or even a tow? Simply use your AcuraLink app to send 24/7 roadside assistance to your location. From performance crossover SUVs like the Acura RDX to sleek sedans like the Acura TLX, AcuraLink technology helps refine your driving experience. 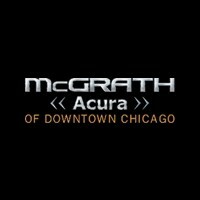 Contact us today to find out more at McGrath Acura of Downtown Chicago. We’re proud to help Riverside drivers with everything from Acura Accelerated Service to the benefits of the Acura Certified Pre-Owned program. We can even assist you with finding local attractions like Chicago area golf courses. 0 comment(s) so far on What is AcuraLink?